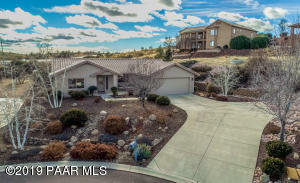 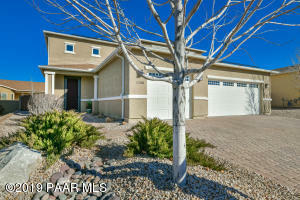 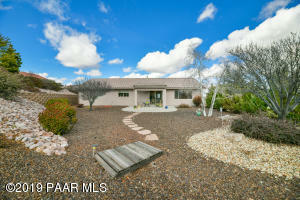 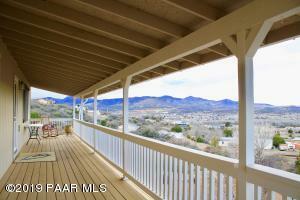 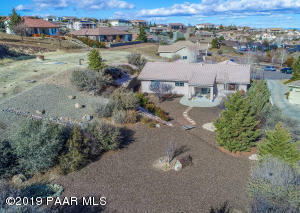 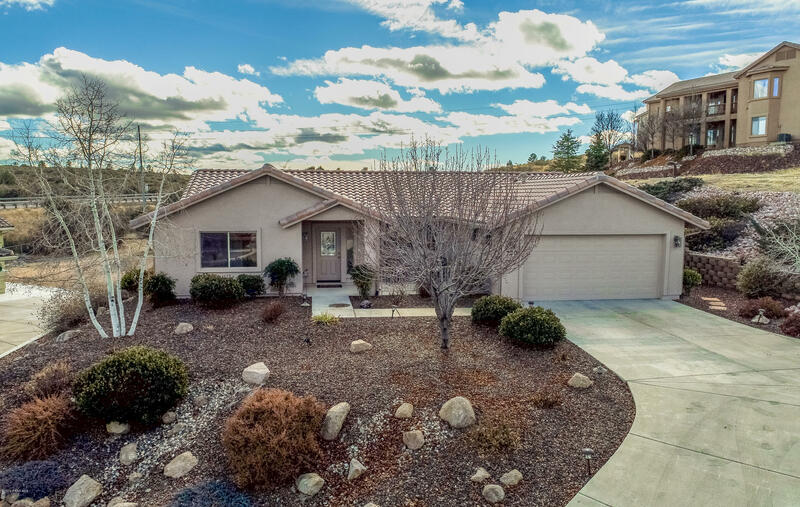 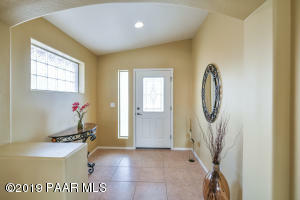 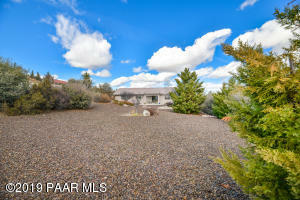 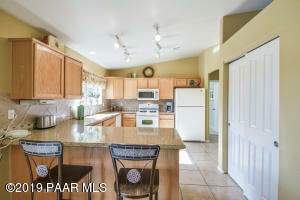 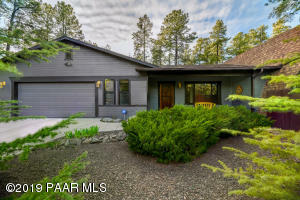 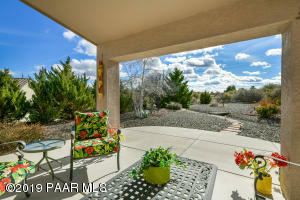 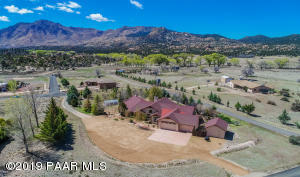 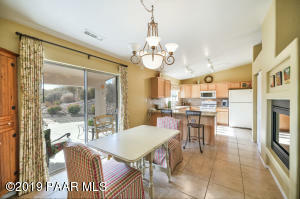 Great location backing to BLM land in highly desirable Pinon Oaks! 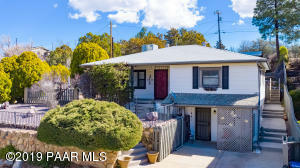 Extremely well maintained one level home with fresh exterior paint, neutralized interior colors and new carpeting in high traffic areas. 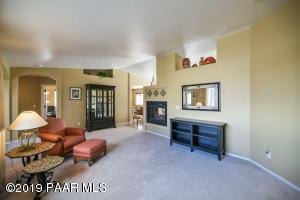 Thoughtful split floor-plan with comfortable living area featuring a double-sided fireplace warming living and dining. 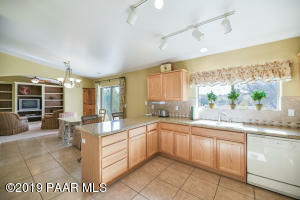 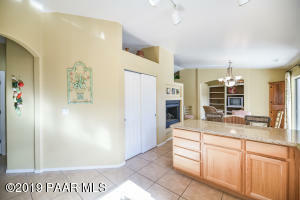 Kitchen with Silestone counters, abundant storage and a large 'picture perfect' window taking in the views of Prescott. 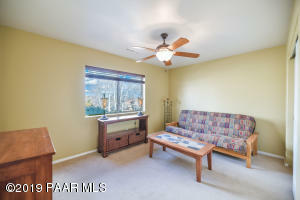 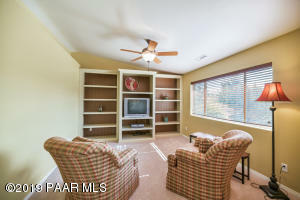 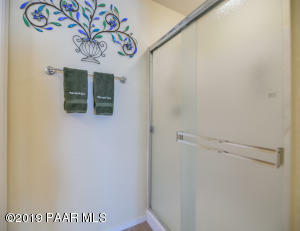 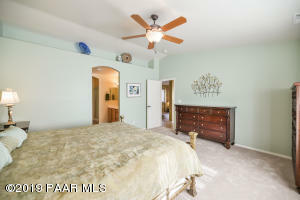 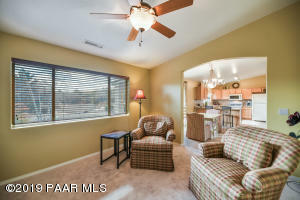 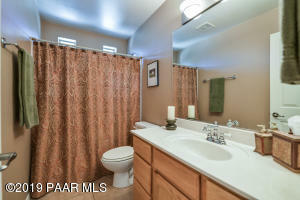 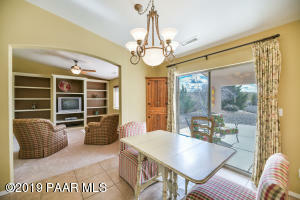 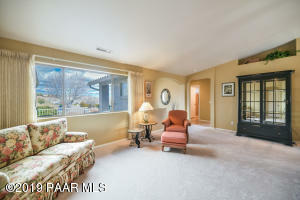 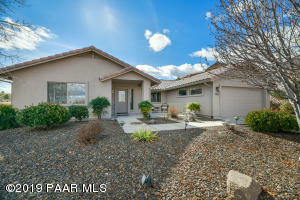 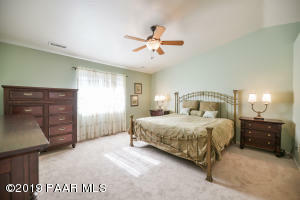 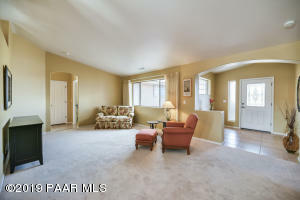 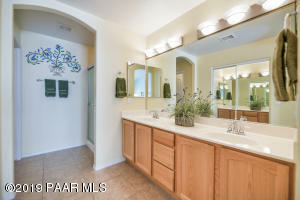 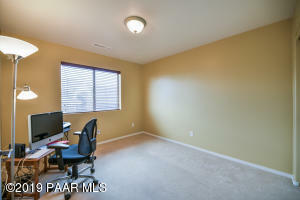 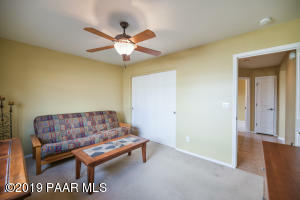 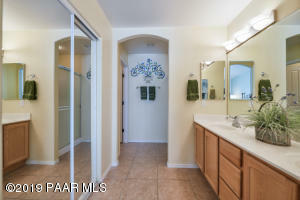 Generous master suite, two guest bedrooms plus a den (possible formal dining or home office). 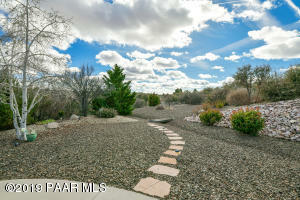 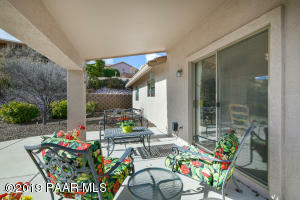 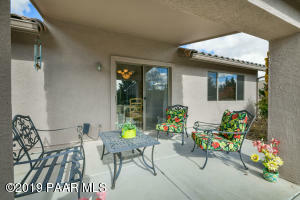 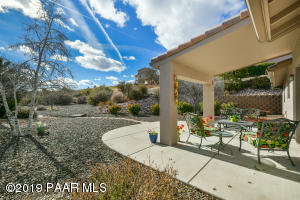 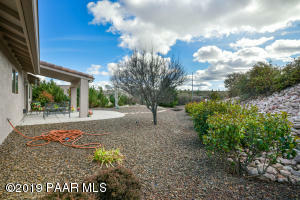 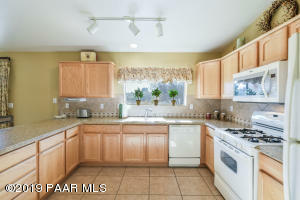 Plenty of space on this 3/4 acre lot with multiple patio areas to enjoy the outdoors. 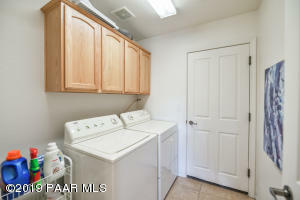 Additional bonuses include newer HVAC system, soft water system, all appliances + newer freezer included and no HOA. 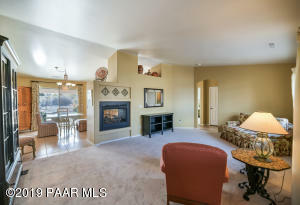 Pioneer PKWY to North on Symphony; Left on Taragon and Right on Peppermint Way to home located at end of cul-de-sac.